A fascination with music began at an early age for Charles Richardson ’68, a lifelong recording engineer. The seven-year-old liked to play on the parade grounds behind his home at the U.S. Naval Academy where his father, who eventually became an admiral, was stationed. turn to the nearest American flag, and salute for the duration of the national anthem. Richardson would repeat the record for as long as he was able, in what he considered his backyard. Needless to say, the officers and cadets were not pleased by his antics. “I got a lot of dirty looks,” he said from his longtime home in Annapolis, Md. A word from the academy superintendent to his father ended that practice. Music has remained a source of joy throughout his life, even though poor eyesight made reading books, let alone music, a struggle. He started college at the University of Tennessee in Chattanooga and moved to Colorado Springs’ mountain air in 1966 because of his allergies. Richardson, a singer, soon moved to the other side of the microphone for the 1967 CC winter choir concert, and made one of his first recordings. He realized he had a knack and loved the art of it. Last fall, he shipped the remastered CD of his original recording of Bach’s “Cantata No. 4,” William Walton’s “Belshazzar’s Feast,” and Vivaldi’s “Gloria” to retired Music Professor Don Jenkins with hopes that it will be added to the CC archives. Richardson finished his philosophy degree at CC and was working on his doctorate in the same discipline while recording part-time — until his advisor pointed out he would make a better living recording full-time. He has taped numerous live performances since 1975; installed sound equipment for homes and businesses; and worked as an award-winning recording engineer for American Heritage, Capital, and Sony records, among others. 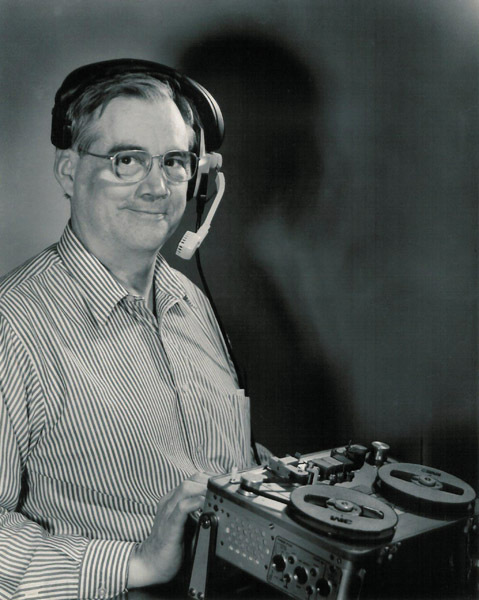 It was through his patented “REZEREX” process that he recovered four CDs worth of music — “Annapolis Sounds” volumes 1–2 and “Eternal Father” volumes 1–2. The original reel-to-reel recordings were losing their quality as the chemicals used back then turned sticky over time. He released those collections through his label, Richardson Records. He hopes to donate more recovered music to the Naval Academy and CC archives. He is happy to have lived a life full of music in a career that began as a CC student. “I’m really thankful for the experiences I had at CC,” he said.